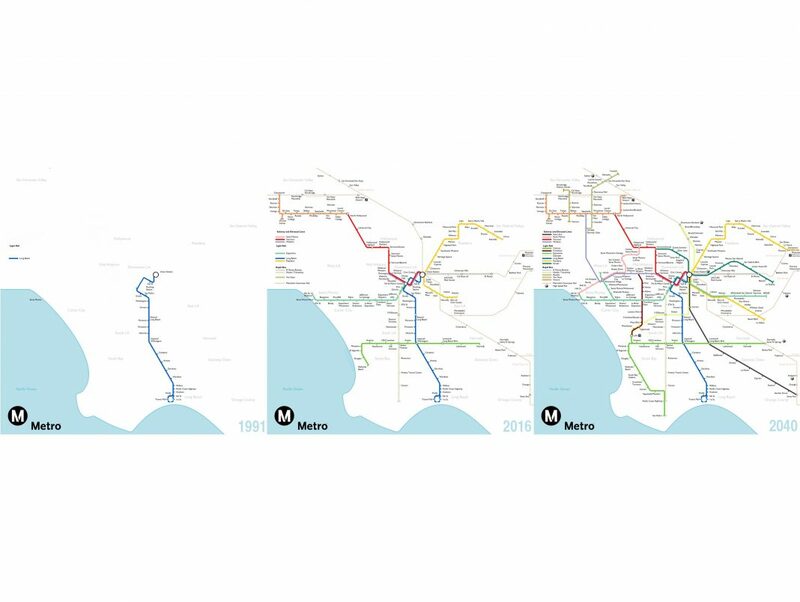 Metro recently posted a map (by designer Jake Berman of Studio Complutense) of what the Los Angeles rail system might look like in 25 years, and I was impressed. I wanted to compare their map it to the present day, so I started deleting rail lines. Then I wondered what the network looked like 25 years in the past, so I deleted everything added after 1990. Wow! That Blue Line looks pretty lonely. In 1990 it was the only functional commuter rail in the entire county. 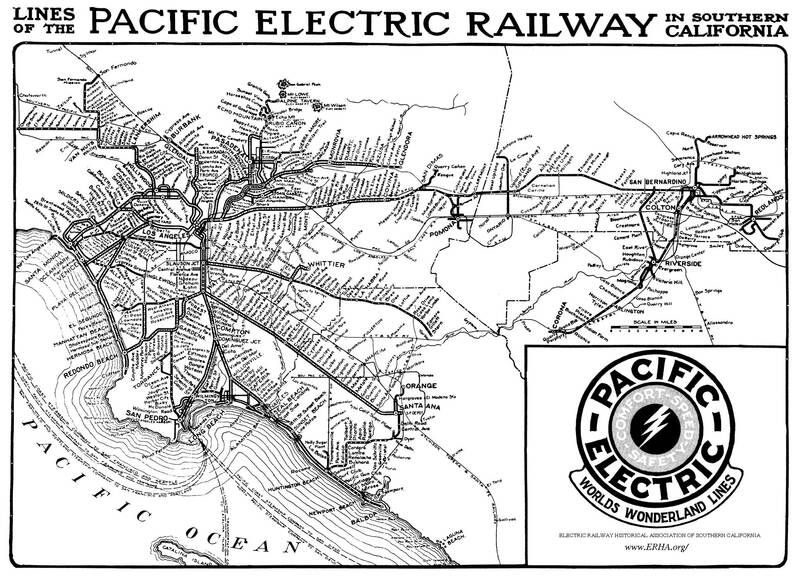 I attended the opening of the Long Beach line with my stepdad, who was still crying about the loss of the Pacific Electric big red cars he had enjoyed in his youth. When L.A. hit peak rail almost a century ago, there were more than 1,700 miles of track running from Santa Monica to San Bernardino and beyond, mostly laid to sell real estate in the far-flung suburbs. I love this prediction that 2040 will bring extensions to almost every subway and light rail line, lots of new Rapid buses, a high-speed elevated line to Santa Ana, and a bullet train to San Francisco. In a few weeks the Gold Line to Azusa and the “subway to the sea” Expo Line to Santa Monica will debut. The radical difference between the first image and the second is enough to convince anybody that the vision in the third is definitely on its way.